Apply these useful tips to maintain your garage door. Most repairs can be easily avoided through preventative maintenance. Excellent ideas and smart ways to deal with garage door issues nice and simply! These tips are useful and very helpful! 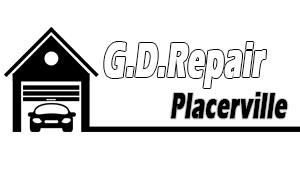 Garage Door Repair Placerville recommends that the garage door balance is regularly inspected. One way to do this is by lifting the door by hand to a half-open position then letting it go. The door will stay in this position if it is balanced with the torsion springs while a door with stretched springs will drift up or down. Installing a weather seal significantly helps in preserving the garage door life span and at the same time preserving energy. Weather seals should be installed in between the garage door panels, on the frame of the garage door and on the bottom part of the garage door. This way, garage doors are well preserved and properly secured. To ensure that your automatic garage door is always running optimally, test it by opening and closing the door and watching the process. While daily use may cause things to slip your notice, testing your garage door will help you catch problems early. If you want to avoid accidents, you must never experiment with your garage door, stand right beneath it or let your children play with the clicker. Avoid fixing problems on your own and particularly keep away from garage door springs. Our experts insist that they are the most dangerous garage door parts. Our garage door experts at Placerville always check the reverse mechanism of the opener to be safe. All parts should be cleaned and properly lubricated to make the door function smoothly. Prepare and make adjustments when seasons change because force requirement is higher during winter than summer. If you're planning to tune-up the garage door, at least get ready properly. Don't rely on stools but get a ladder. Wear gloves to protect fingers, hands, and safety glasses for eyes. Avoid loose clothes and make sure the right equipment is used for all garage door repairs. This is the quietest type of garage door opener. It will not disturb anyone in the house, especially those who are relaxing and sleeping as you open and close the door. Besides, the drive belt does not require lubrication maintenance. Ensure that the belt is durable and reliable as well as quiet.